Lots Jasmine White Buds Tea Natural Organic Dry Loose Classic Floral Herbal Tea Specifics:** Tea Type: Green** Form: Loose Leaf** Tea Origin: China** Food Specifications: Organic** Shelf Life: 18 months** Country/Region of Manufacture: China ##What is Jasmine Tea?Jasmine tea is tea scented with aroma from jasmine blossoms to make a scented tea. 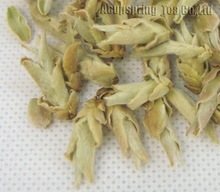 Typically, jasmine tea has green tea as the tea base. 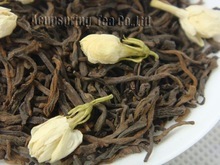 The resulting flavour of jasmine tea is subtly sweet and highly fragrant. It is the most famous scented tea in China. 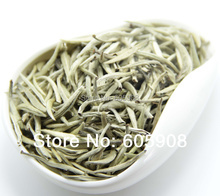 Jasmine Tea has the nutrition of green tea and fragrance of jasmine. ##How to prepare Jasmine Tea?1. Warm up the tea vessel with freshly boiled water.2. 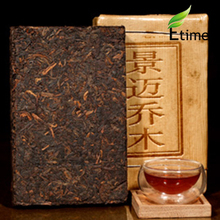 Quantity of tea leaves : Use 1 tea spoon of tea leaves for a mug or tea pot with 300ml capacity. eg. if capacity of tea vessel is 600ml, use 2 tea spoons of tea leaves. The flavor of tea will be getting stronger along with quantity of tea leaves, please adjust according to personal taste.3. Add freshly boiled water, allow to drink after 2 to 3 minutes then serve repeat infusions. The tea leaves can be used again for repeat infusions by just adding hot water. Please slightly increase brewing time with each additional infusion.Please don’t steep too long otherwise it will alter its flavor and might bring a bitter taste. ##How to store?Put into a sealed bag or a can with lid and store in a cool, dry place that is absent from foreign odour. ##What should be aware of?As with all foods and supplements, it is essential that you do your own research to decide if this product right for you. It should be used as part of a healthy, balanced diet and should not be used as a substitute for regular exercise. While we believe that these products can be beneficial in many ways they should not be taken instead of conventional medicine. Consult your doctor first if you suffer from any health problems or are pregnant or breastfeeding.